In part one we discussed the best red wines for parties and to go with roasts and cheese. In part two we look at the tricky business of finding a wine to accompany the traditional Christmas dinner centrepiece – the turkey. Turkey is quite delicate in flavour and in particular its low fat content means that there is little to soften the tannic edge of more robust reds, so stay away from reds with high tannin content like younger Bordeaux wines. If red is your preference, pinot noir from Burgundy, or Gamay from the Beaujolais, produce lighter, less overpowering wines that will complement the turkey. Top notch Burgundy reds such as can be found at the Château de Mersault (a fascinating visit and extensive tasting in its extensive underground cellars is included in our Burgundy Wine Explorer cycling tour) are extremely expensive, and less pricey options can be found from well reputed producers such as the Buxy Co-operative which we also visit. Beaujolais villages such as Morgon and Fleurie produce delightful lighter reds which can be served a little cooler and have gorgeous strawberry and raspberry notes – these can be very affordable! 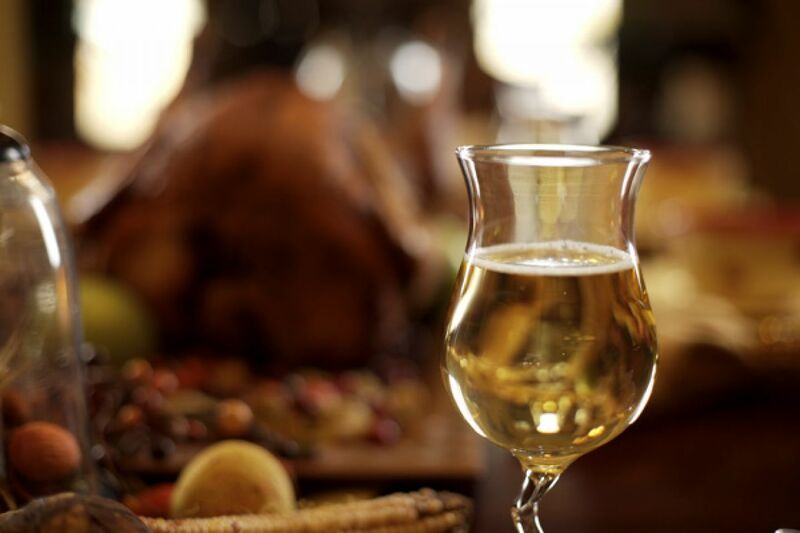 However, consensus amongst wine and food pairing experts is that white wine, in particular chardonnay, is the ideal partner for turkey. When considering white chardonnay, Bourgogne (Burgundy) and Chablis immediately spring to mind. The communes of Puligny-Montrachet and Chassagne Montrachet are probably the pinnacle of the white winemaker’s art, and command suitably elevated prices. You can taste these on our Burgundy bike vacation! The co-operative at Buxy also has many deliciously affordable white oak aged Chardonnay wines, and after bringing home a few cases over the years we can whole-heartedly recommend their Montagny 1er Cru! Even more reasonable wines are available from the Bourgogne Côtes Maconnais region – as little as 6€ per bottle will get a very drinkable wine. Finally – fizz! Whether it’s an aperitif before dinner or a New Year celebration, the pop of a champagne bottle puts everybody in the party mood. However, it doesn’t have to be champagne! There are plenty of delicious sparkling wines that can be enjoyed for a third or less than the equivalent champagnes. The Crémants from Alsace and Burgundy use the same methods and indeed the same grapes (pinot, chardonnay) as are used in Champagne. The sparkling Crémant d’Alsace from the Cave de Turkheim which we visit on our Alsace cycling tour is particularly recommended. The Loire Valley also a strong sparkling tradition – for parties stock up on the Crémant de Loire from the Monmousseau winery in Montrichard (our Loire tour takes in the fabulous underground tunnels).